October 31st brought the official reveal of The Maryland Doom Fest 2019 lineup of bands. Early Bird Weekend Passes for the event go on sale Monday, December 17th. Riff Relevant is once again quite honored to help sponsor the festival for the 2019 Fifth Anniversary events. It’s a goddoomed doozy, too. I mean, would you just look at this insane lineup? LOOK. The festival poster this year was a collaboration between Kyle Stratton of American Art Tattoo Studio (main illustrator, as well as the guitarist / vocalist for Atala), and Bill Kole of Billy Diablo Designs (who coincidentally did our original Riff Relevant logo). 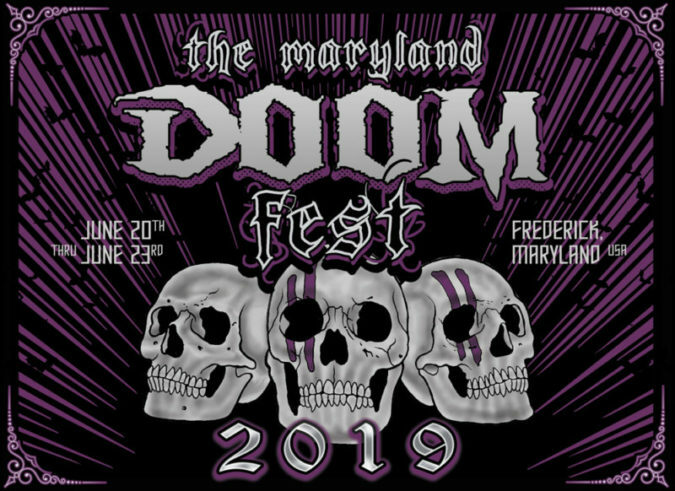 The Maryland Doom Fest will take place once again at Cafe 611 and Guido’s Speakeasy in Frederick, Maryland, with next year’s events happening June 20th through 23rd (Thursday, Friday, Saturday, Sunday). We waited a bit to share the MD Doom Fest 2019 news, to have a special sponsor contribution included with our own announcement. 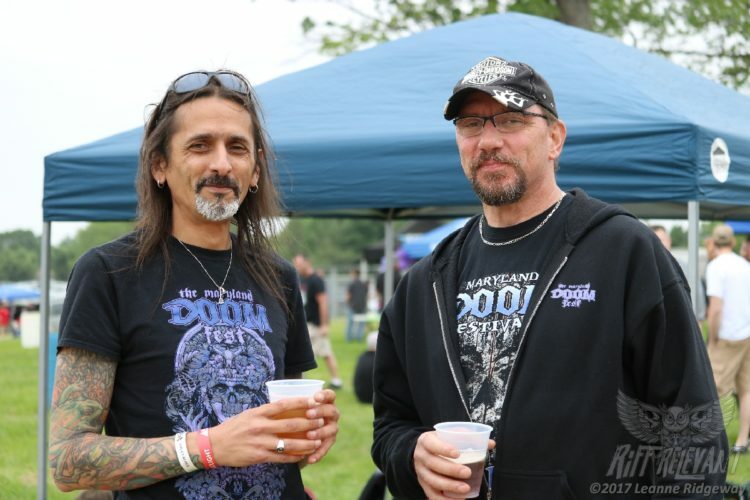 I created a couple of playlists for you potential fest-goers to grab an earful of what you’ll be in store for at The Maryland Doom Fest 2019. The MD Doom Fest 2019 Spotify Sampler (bottom of the article) was shared on Halloween, but today we have a brand new MD Doom Fest 2019 YouTube Video Sampler below! This playlist includes 48 different video selections from most of the roster and runs as close to the current four-day full lineup schedule order as possible. Enjoy! We are extremely pleased to present to you… The Maryland Doom Fest 2019 lineup!!! 50 of the heaviest, most talented bands to grace the stage. We bring you INTERITUM from Tasmania, CONAN from England, PENTAGRAM from our own soil, and an additional 47 top performing USA acts traveling from all across the continent!! As if that’s not enough, the MDDF Pre-Fest Party will be celebrating the 20th Anniversary of the SHoD (Stoner Hands of Doom) Festival with a spectacular lineup of bands who have performed at the great SHoD fests in years past!! The Pre-Fest / SHoD 20th Anniversary Celebration will be monumental in countless ways!!!! Please support the Doom scene and share this epic event with your comrades and we will see you at #4daysofdoom!!!! EARLY BIRD Discounted ticket sales start Dec. 17th, 2018 – for two weeks only. Early Bird Discount Tickets will be open from December 17th-31st, 2018. The discount is only for Weekend Passes ($74). On January 1, 2019, all regular price ticket options will be available. Weekend Passes ($89). Weekend Pass holders can attend Pre-Fest/SHoD Anniversary for $15 at the door, all others $30. Single Night Tickets: Fri. $35 / Sat. $40 / Sun. $35. Sharing the riff love. Owner/Editor of www.RiffRelevant.com. Also owns & operates www.MettleMediaPR.com.